Taylor Swift’s digs at Kanye West go further than just her scathing lyrics. Celebuzz reports that the singer — who recently released “Look What You Made Me Do,” a single that seemingly takes aim at the rapper and his wife, Kim Kardashian — will release her sixth studio album on a date that hits close to her nemesis’ heart. As fans have pointed out, November 10 holds a significant meaning in the Kardashian-West family as it marks the anniversary of the death of Kanye’s mother. Wet Paint shares, While this could be just a coincidence, it’s hard for fans to overlook, considering how hard the rapper took his mother’s passing. Taylor Swift released her newest album "Reputation" on Friday November 11th. On that same day Kim Kardashian and North West went to a Katy Perry’s concert. Many people are speculating that Kardashian is throwing shade at swift. As many people know there is feuds between Swift and the Kardashians as well as Swift and Perry. Is it a coincidence that Perry and Kardashian hung out on the day Swifts album was released, or was it all strategic? 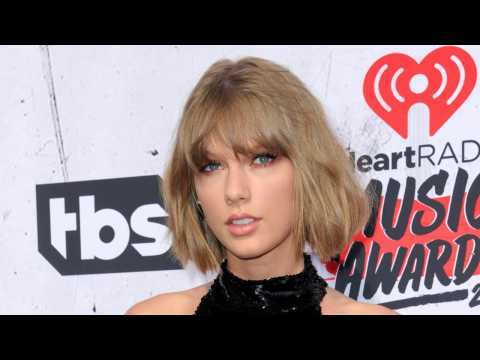 Representatives for Taylor Swift have told streaming services that the pop star's upcoming album, "Reputation," will be kept off streaming during its first week of sales, sources told Bloomberg's Lucas Shaw. Bloomberg's sources said that the streaming services are still negotiating with Swift to determine when "Reputation" will be available. Swift has had a back-and-forth relationship with streaming services in recent years. The singer kept her last album, "1989," off of Spotify upon its release in 2014, when she removed her entire back catalog from the service. "Reputation" will be available for sale in retail outlets and online stores like the iTunes on November 10. This was a big week for Taylor Swift fans, as the queen of pop announced her next album: Reputation. After clearing her social media, the singer's accounts then only featured new album related content. She's released the first single, but the entire album comes out on Friday, November 10th. This is a signature move for Swift, who puts her albums out in the fall. However, fans were also quick to point out that this is the 10 year anniversary since the death of Kanye West's mother, Donda West. Although West and Swift have a rocky relationship, a rep for Swift said the release date isn't related to the rapper at all.